Clifford Chance was one of the first major international law firms to establish an office in Tokyo more than three decades ago. In 2016, the firm decided to move to the prestigious Marunouchi business district, near the Imperial Palace. 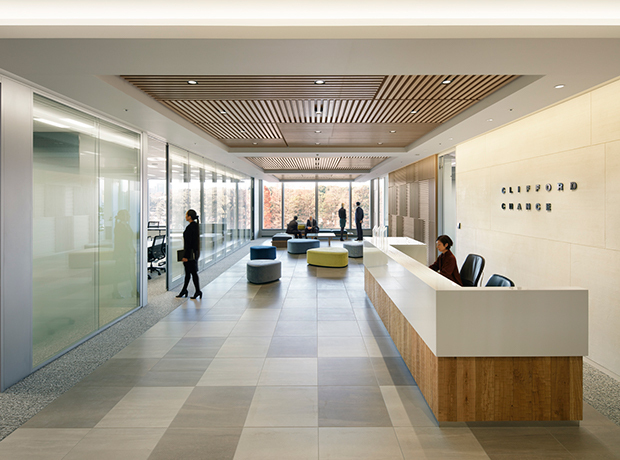 The leadership team sought to create a new space, with new technologies that supported the firm’s strategy to drive collaboration among lawyers, support knowledge sharing, attract and retain talent, and minimize paper files. 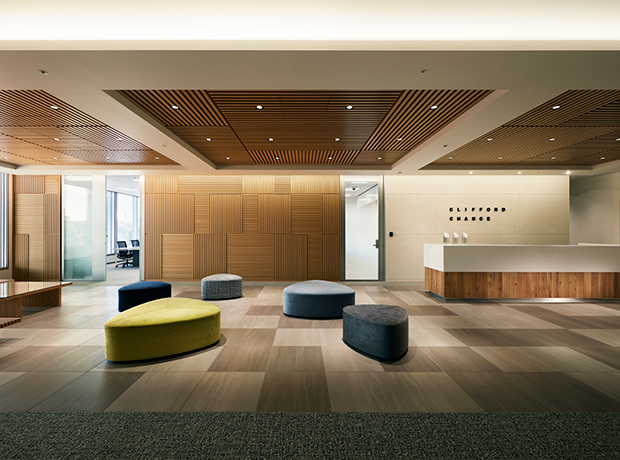 Most importantly, management saw an opportunity to utilize real estate to create a truly client-centric culture through the adoption of a range of workplace innovations. The previous facility was composed of private offices, which in some cases restricts interaction, communication and the sharing of best practices. 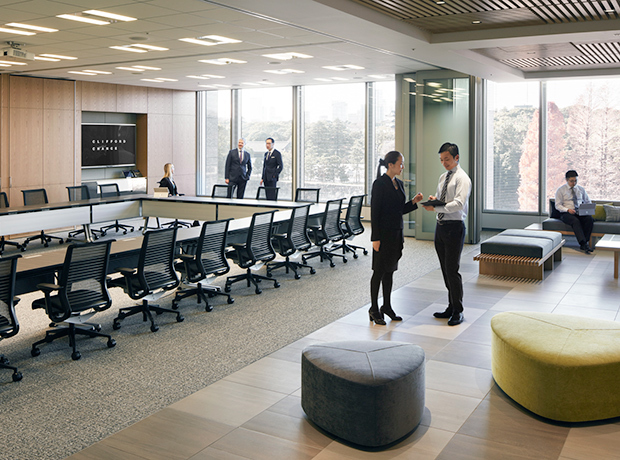 Clifford Chance’s Tokyo office identified the opportunity to become the first in the network to adopt a wall-free, “smart office.” The design would have to include collaboration spaces, quiet zones and meeting rooms to offer the confidentiality and concentration attorneys need to do their work. Meanwhile, the project would require careful change management, as employees would have to adapt to an unfamiliar office concept, a relocation and new technologies all at the same time. Clifford Chance engaged CBRE’s Workplace Strategy team to assess the environment and help configure the space to meet its strategic goals. CBRE contacted stakeholders at every level with thoughtful analysis. 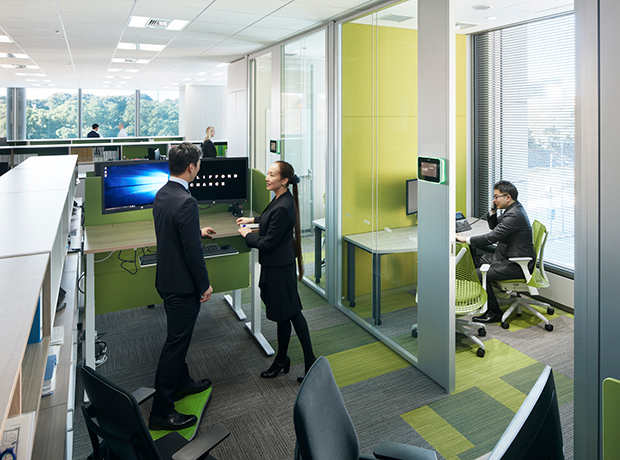 Using proprietary tools, CBRE studied how professionals used their offices, desks and meeting rooms, and how the space supported collaboration in real time. 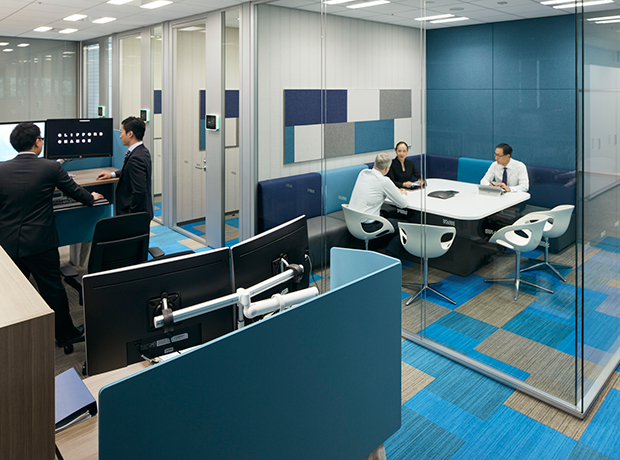 The firm conducted an online survey and held focus groups with both international and Japanese lawyers and business services to understand their work style, collaboration methods, and the type of spaces they found most productive. CBRE also interviewed the partners to fully understand the company’s vision and strategy. 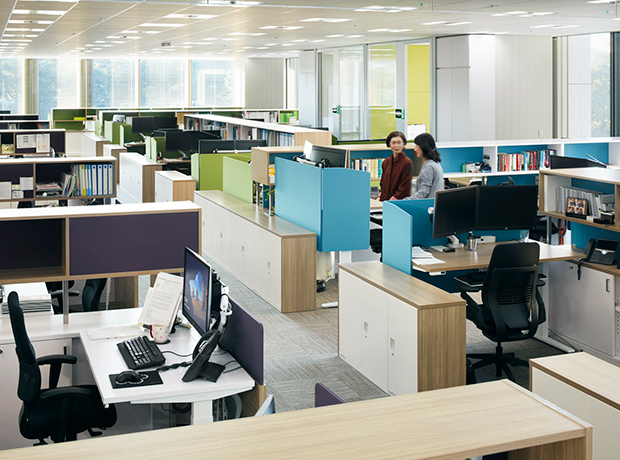 CBRE forecasted different scenarios based on the workplace research data so the client could make the best decisions towards turning its premises into a smart office. To ease the transition, employees were invited to share their opinions, and to test the furniture and technologies before any final purchases were completed. On moving day, workstations were setup and employees were trained to limit the impact on their workload. Supported by thorough change-management training, the partners of the firm were key to supporting the transition, leading by example. 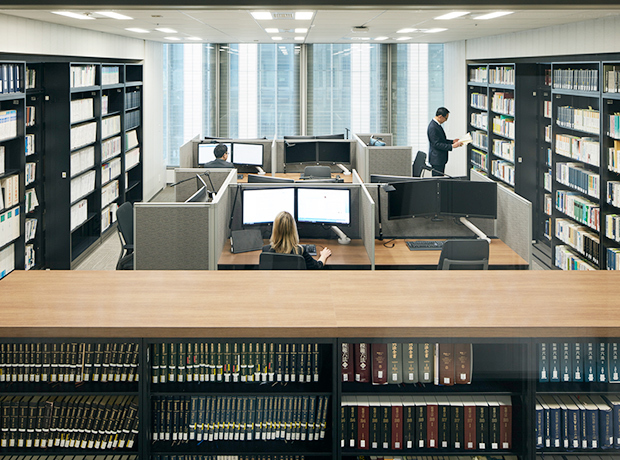 Approximately 80% of Clifford Chance staff agreed that the new space brought noticeable improvements in efficiencies, productivity, collaboration, knowledge sharing, learning and development as well as a more collegial and inclusive workplace. The office’s Managing Partner said that they are proud to have implemented a workspace strategy that truly puts their clients first. 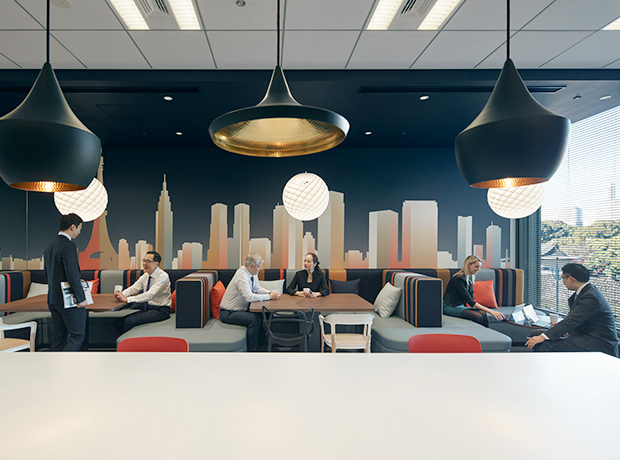 The firm reduced its real estate footprint by one-third, while improving job satisfaction by 13%, thanks to their innovative collaborative workspace strategy. 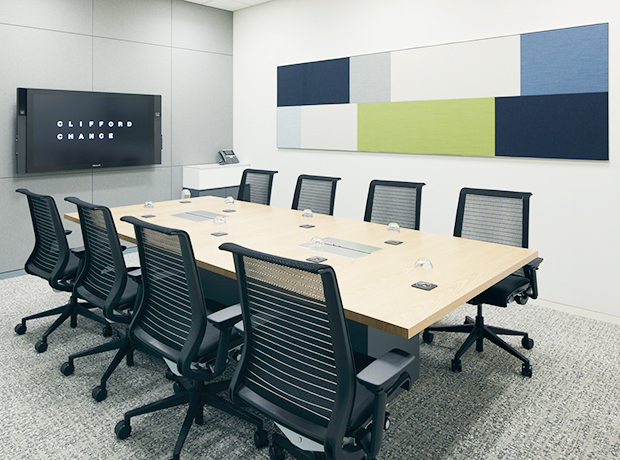 In addition, new technologies, including dual monitors, the use of tablets and interactive screens in meeting rooms, have boosted productivity since information is easier to access and store. Meanwhile, with less use of paper, documentation storage fell by more than 60% and a more environmental friendly way of working was introduced. Making a Smart City Even Smarter. Shaping a cosmopolitan retail destination.